As previously mentioned making sure your guests RSVP can be a bit of a chore, follow these 5 top tips to increase your RSVP response rate. Give people options – Everybody likes different options, so provide your guests with different ways of responding. Have your phone number and email on the Invitation or RSVP card and let them know what information they need to get to you. Ask for song requests – Providing a song to get everyone up and dancing is an extra incentive for filling in that RSVP card! 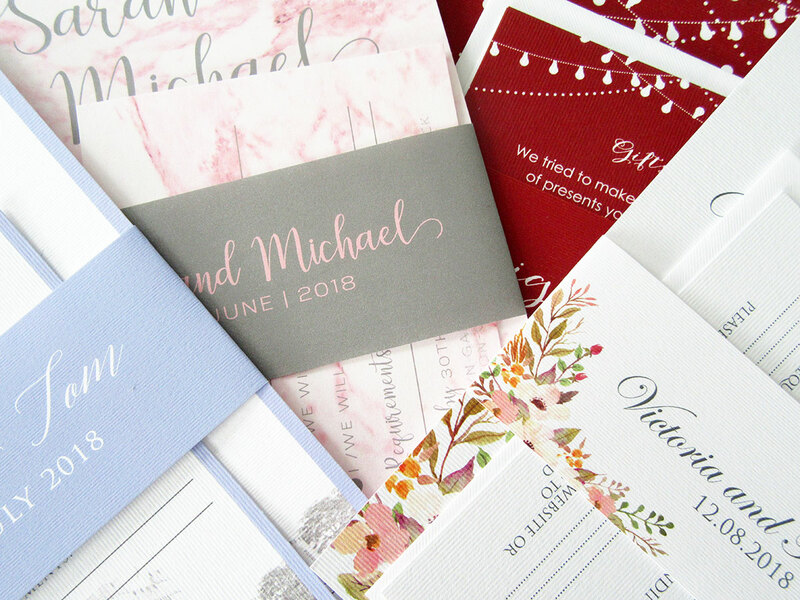 Don’t provide a lengthy RSVP period – Keep the time from the guest receiving your invitation to the RSVP short, giving them a longer time frame will make them more likely to keep putting it off and may result in forgetting all about it. RSVP Website – For the techy couples and guest there is a wide range of websites which you can set up for your guests to reply on. The website link can then be placed on the bottom of your invitation or information card. Pre-addressed return envelopes – Get cute address stickers designed to pop on your envelopes, and then all the guests need to do is attach a stamp. So how do you keep track of all these replies? An extra tip for you would be to make some style of spread sheet or list to keep track of your RSVP’s so you know who can come and you can’t and so you can easy keep track of who hasn’t replied.